Everyone's writing benefits from a second pair of eyes, since it's difficult for everyone to read their own writing critically. The Writing Program provides faculty and students resources to teach, learn, and improve their writing. 1. Log on to the Portal and visit the Writing Center Scheduler (under Academics). 2. Click "See Available Appointments." 3. Click "Book It" to schedule your appointment. You will receive a confirmation email. Students come to the Writing Center to take their work to the next level. 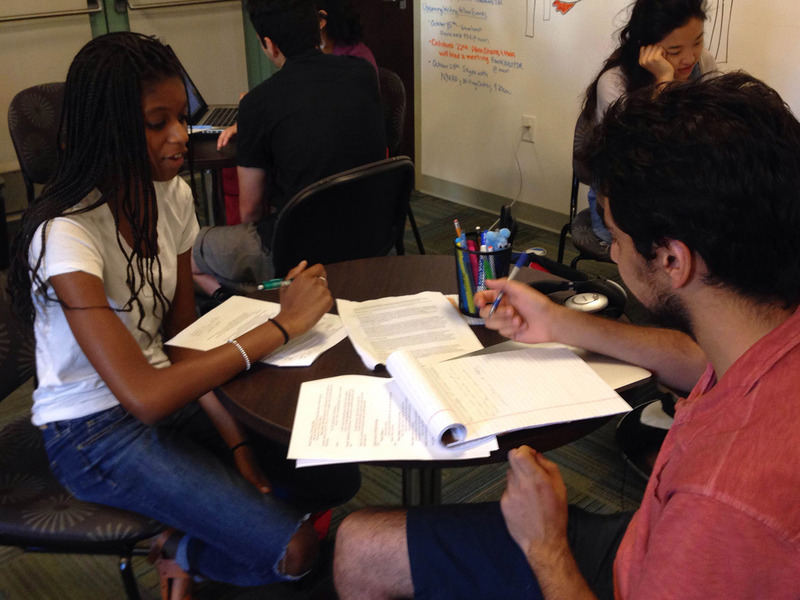 Writing Partners, who are also Pomona students, have experience and training to collaborate with students in all disciplines, from Religious Studies to Economics to Physics. The Writing Center is located in Smith Campus Center, Suite 148, across from the living room and the mail room on the ground floor. During the semester, we are open Sundays through Thursdays in the afternoons and evenings. Contact us at writing.center@pomona.edu.